I have been using CCleaner free for a long time without any problems...I recently upgraded to CCleaner Professional....I use Firefox and save my download to a "download" file...suddenly all my saved downloads were deleted...I have Recuva OK..but why did this happen? I can run the cleaner normally and the file is still intact...but I have done a "Free Space Wipe" a couple of times...could this have done it ? By default CCleaner doesn't clean or target the Downloads folder that's created by Windows. To test it you could copy a file into it and then run CCleaner to see if the file survives the cleaning. However I know Windows own built-in Disk Cleanup has a check/tick box for the Downloads folder, which would delete the contents - well I at least noticed that on a computer running Windows 10 October 2018 Update. 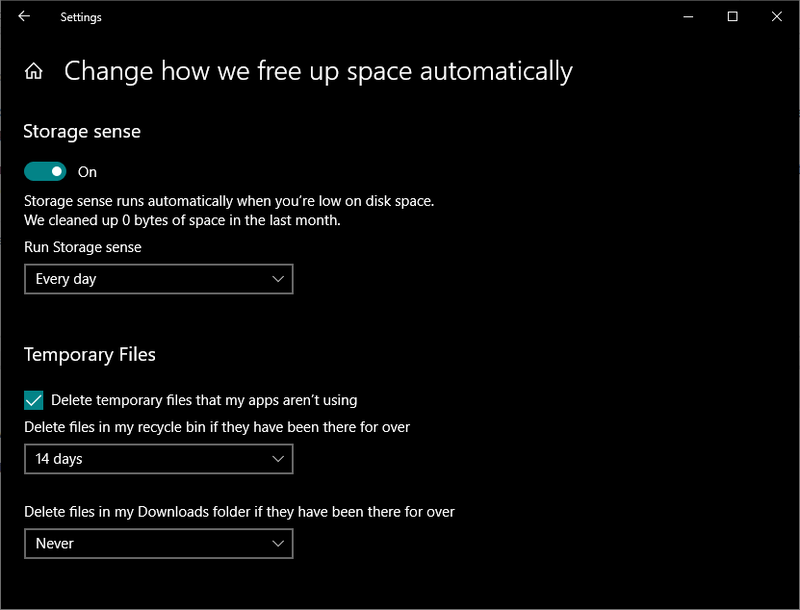 Since the update to Windows 10 version 1809 the Downloads folder is included for cleaning (by Windows) in both Storage Sense and Disk Cleanup. If you have Storage Sense set to clean automatically then you need to tell it not to clear the downloads folder if you don't want it to. Better still don't leave things in the download folder if you want to be sure to keep them. If they are moved to another folder they won't get cleaned by mistake. While better than nothing that's hardly a prominent warning, more of a CYA. (Well we did give you a warning, if you didn't see it that's your own fault). The person who would just tick all the options is exactly the person who is not thinking what they are doing, and would not see/read a message like that. That's why I warned my mother and told her not to select that in Disk Cleanup should she ever use it, since she downloads allot of paid for designs and takes forever to move them out of Downloads to a "safer" location.